P.H. Nicklin & T. Johnson, Law Booksellers [etc. ], Philadelphia, 1837. Printed by Henry Lintot . . . for J. Worrall [etc. ], London, 1758. Printed by the Assigns of Rich. and Edw. Atkins [etc. ], London, 1698. The orders continuing those originated by Francis Bacon, in Holdsworth's words "fix[ing] the practice of the court till the [19th century] reforms", Bacon's sole successful effort at codification and "the best evidence of [the court's] organization"
V. & R. Stevens and G.S. Norton . . . Lincoln's Inn, London, 1841. Printed by the Assigns of Rich. and Ed. Atkins [etc. ], London, 1705. Printed by John Streater, Eliz. Flesher, and Henry Twyford [etc. ], London, 1673. A late 17th century edition of the first classic of English equity and the first work on legal philosophy and natural law written in England, "a brilliant, comprehensive and intellectually satisfying attempt to construct a systematic theory of law"
Printed (for the Author) by A. Strahan and W. Woodfall [etc. ], London, 1793. Printed by E. and R. Nutt, and R. Gosling [for two others], London, 1737. Impressum . . . Per Iohannem Rastell [etc. ], London, 1528. 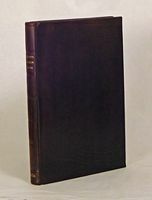 First edition of the first dialogue of the first classic of English equity, called by Samuel Thorne "a most important book for the historian of English law" and recently described as "a brilliant . . . attempt to construct a systematic theory of law"
Edward Lumley, 56, Chancery Lane, London, 1837. Printed for J. & W.T. Clarke, Law Booksellers [etc. ], London, 1820. Kay & Brother, 17 and 19 South Sixth Street, Philadelphia, 1878. Longman, Rees, Orme, Brown, and Green, London, 1828. Only edition of a major contribution to Chancery reform, in Holdsworth's words "the first detailed history of the court [and] a work of considerable merit", written by a Benthamite disciple called "one of the cleverest men [Lord Cobden] had ever met"
Printed by the Assignes of John More, Esquire, London], 1638. In aedibus Thomae Wight, London, 1604. The Lives of the Lord Chancellors and Keepers of the Great Seal of England, from the Earliest Times till the Reign of King George IV. First Series, to the Revolution of 1688. 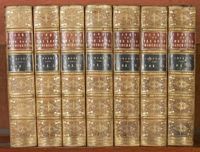 In Seven Volumes. John Murray, Albemarle Street, London, 1846-47. West Publishing Co., St. Paul, 1948. Printed for the Author, London, 1684. Printed for the Societie of the Stationers, London, 1609. Printed for Messrs. E. Lynch, G. Burnet, W. Colles [etc. ], Dublin, 1786. Bosworth & Harrison, 215, Regent Street, London, 1857. Printed for R. Best and J. Place . . . in Holborn, London, 1671. T. and W. Boone, 29, New Bond Street, London, 1836. M. Murphy, Law Book Publisher and Importer [etc. ], Philadelphia, 1895-1905. Printed by the Assigns of Rich. and Ed. Atkins [etc. ], London, 1695. John Murray, Albemarle Street, London, 1847-69. Printed by the Assignes of John More Esquire [etc. ], London], 1630. Printed for Mathew Walbanke, and Lawrence Chapman, London, 1642. Printed by the Assignes of John More [etc. ], London], 1630. Northwestern University School of Law, Chicago, 1984. Printed for J. Walthoe, over-against the Royal Exchange [etc. ], London, 1727. Printed for T. Cadell and W. Davies, Strand [etc. ], London, 1813. Printed by James Cottrel, London, 1656. Printed for Henry Chase . . . and by Humphery Tuckey [etc. ], London, 1661. The orders which were largely those of Francis Bacon, in Holdsworth's words "fix[ing] the practice of the court till the [19th century] reforms", Bacon's sole successful effort at codification and "the best evidence of [the court's] organization"
Printed by the Assignes of John More, Esquire [etc. ], London], 1638. An early 17th century edition of the first classic of English equity and the first work on legal philosophy and natural law written in England, "a brilliant, comprehensive and intellectually satisfying attempt to construct a systematic theory of law"
Your search request for "equity" has matched more than 50 records. (58 books matched.) If you would like to see more than 50 records, you can adjust this parameter and resubmit your search.